We manufacture and export a wide range of Cable Testing Instruments, which is specially designed to test different physical properties of cable or its raw material. Our range is widely appreciated by the clients due to its durability, reliability, easy handling and low maintenance. Consist of PID temp. Controller with inbuilt Timer. The Thermal Stability Of PVC Insulation & Sheath is an accelerated method to determine the rate of degradation of PVC compound with time under the influence of temperature.Thermal stability is the indication time in minutes, indicated by the red coloration of pH paper produced by the evolution of hydrochloric acid when PVC compound is heated to optimum temperature. It has PID temp. Controller with inbuilt Timer. We are offering a vast array of Flame Retardancy Apparatus - Single Cable that is highly beneficial in extinguishing a fire. We procure these Flammability Test Apparatus from reputed registered manufacturers well known to us. However, these are stringently quality tested to various predefined standards by the quality experts before selection. Flawless in quality, these are easy to install, durable and reliable. 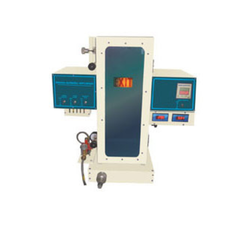 Multi Cell Ageing oven is used to determine the thermal effect on the mass of thermoplastic insulation and sheath. It is electrically operated and thermostatically controlled heating oven with controlled air flow. The air enters the oven in such a way that it flows over the surface of the test pieces and leaves near the top of the oven. Each pipe will have a stand to hang the samples. Also, each pipe will have an arrangement of Timer, Temperature Controller and Rotameter. 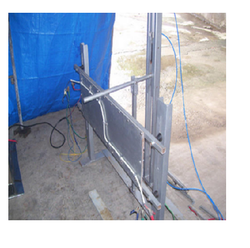 Scope of Supply Includes Cable Supporting System, Continuity checking arrangement, Source of Heat. We are offering Fire Survival Tester to our clients. 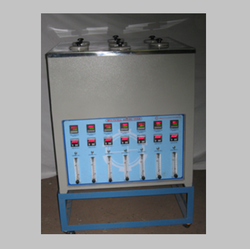 Clients can procure from our wide range of excellent quality Halogen Gas Test Apparatus. The offered apparatus is used for determining the amount of halogen acid gas evolved during combustion of a compound based on halogenated polymers or halogenated additives that are gathered from a cable insulation outer sheath. These are highly applauded and demanded all over the globe for their outstanding quality, durability, corrosion resistance, easy monitoring and much more. 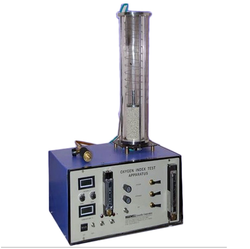 The offered Halogen Gas Test Apparatus are procured from reliable certified manufacturers well acquainted with us. Moreover, we also avail these range at an affordable reasonable price. 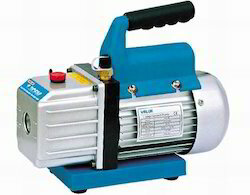 Our firm is catering to the demands of different major markets by offering High Vacuum Pumps . It is manufactured at our vendorsâ€™ end using premier-grade components and implementing latest technology. To ensure its flaws, our quality controllers check this pump on variegated quality parameters. Furthermore, we have established a highly advanced delivery mechanism that helps us to deliver this Vacuum Pump at the end of our patrons within committed time-frame. 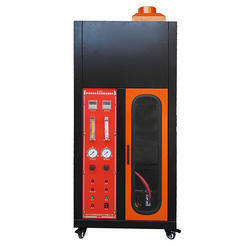 We manufacture a wide range of Laboratory Smoke Density Tester used in physical testing of cables. The list includes limiting oxygen index apparatus, smoke density apparatus, air circulating ovens, multi cell ovens, chambers for fire retardancy tests, burners for fire tests, fire survival test set up etc. Laboratory Smoke Density Tester from the Burning or Decomposition of plastics is measured. This test method describes the measuring and observing the relative amounts of smoke obscuration produced by the burning or decomposition of plastics. 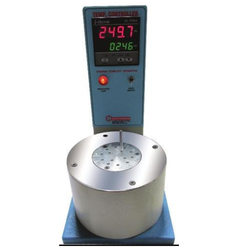 It is intended to be used for measuring the smoke producing characteristics of plastics under controlled conditions of combustion or decomposition. The measurements are made interns of the loss of light transmission through a collected volume of smoke produced under controlled, standardized conditions. Storage of Max. 6 sample results and print out a facility for a complete report. The Limiting Oxygen Index Apparatus is used to determine the minimum oxygen in a flowing mixture of oxygen and nitrogen for flaming combustion. The oxygen tester is used to check combustion of plastic materials such as polymers, cables, rubber, nylon, laminates, fabrics etc. The percentage of Oxygen required for the specimen to burn without any existence of flame is displaced digitally with the help of Paramagnetic Oxygen sensor and analyser.